The 2000 block of Federal Street, where Flynn grew up. Saint Gabriel's Catholic Church, 1965. 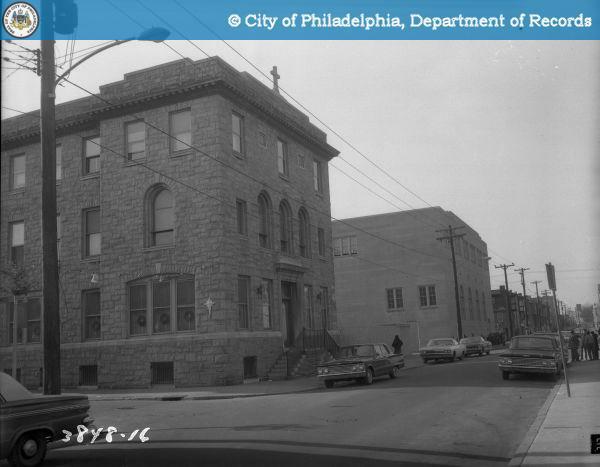 John Flynn (pseudonym) was born in 1917 in the same house as his father and grandmother on the 2000 block of Federal Street, in Grays Ferry, a tough Irish-American neighborhood in South Philadelphia. There, Flynn went to school and learned how to drink and fight. Flynn began to work at age 13 when his father found him a job loading trucks for Union Transfer. His first taste of money caused him to quit school at the age of sixteen. 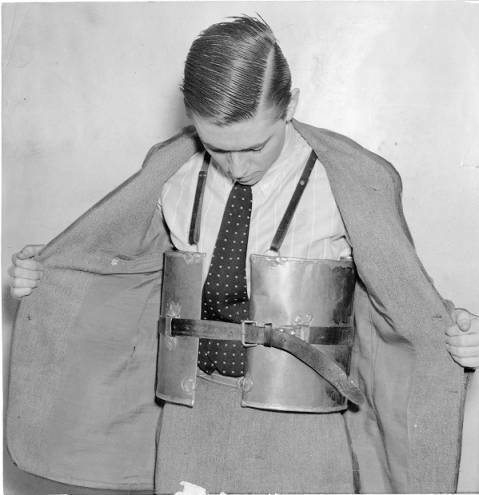 With money in his pocket, Flynn started ‘hanging’ with a gang and frequently spent time in the Tenderloin District. 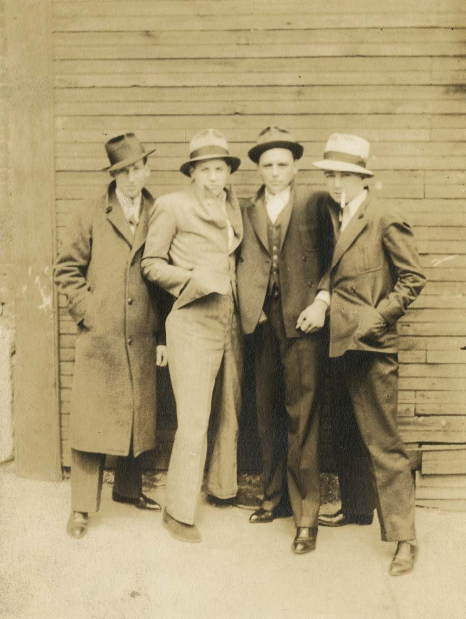 Young men posing as gangsters, Philadelphia, PA, c. 1931. Although Prohibition was still in effect at this time, Flynn and his gang had no problem whatsoever acquiring alcohol. They generally ended up "every Sunday morning in the jail house," and were bailed out by his boss, who was also the local committeeman. Flynn’s gang got drunk in illegal taprooms, frequented whorehouses, robbed gay men, and got in fights. When it came to gang fights, however, there were certain rules of respect that one needed to follow. 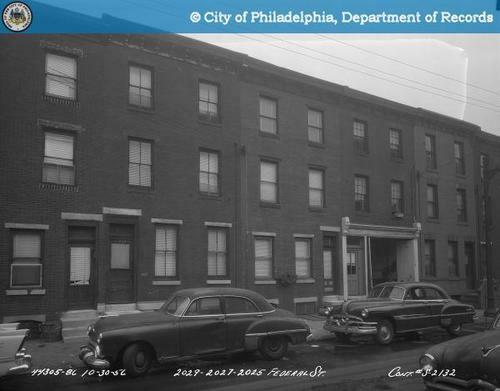 Flynn and his gang hung out in a house on 6th and Spring Garden, but were forced to leave after a gang of Cubans moved into the house. They then hung out under the Benjamin Franklin Bridge towers where they continued to drink and get in fights. 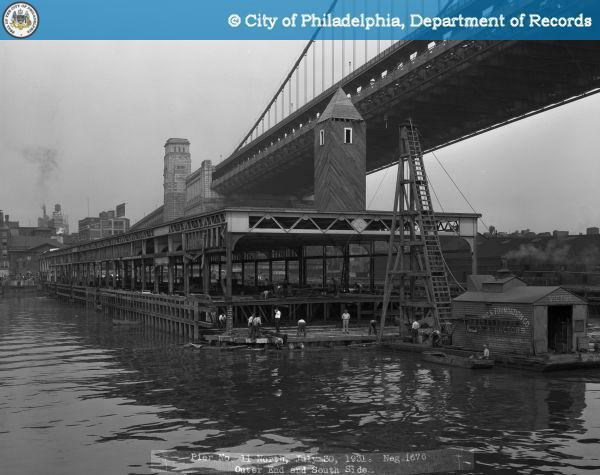 The Benjamin Franklin Bridge towers, where Flynn's gang held turf, 1931. After working for Union Transfer for three years, Flynn, now sixteen, in 1933 became an organizer for Teamsters Local 107. During the heart of the Great Depression, Flynn made ends meet by working long hours at different jobs. He helped form a union for newspaper circular distributors, and worked as a longshoreman. Flynn lived a troubled life full of hard work and frequent crime. He did not, however, let his past prevent him from taking his first step towards recovery.